Justin Bieber is on the attack! The “SG” referred to (above) is obviously the Purpose singer’s long time ex Selena Gomez. The racist comment is likely a call-out for some old DMs where the blonde model reportedly used the n-word which surfaced a few years ago. See a photo of the full reply (below)! 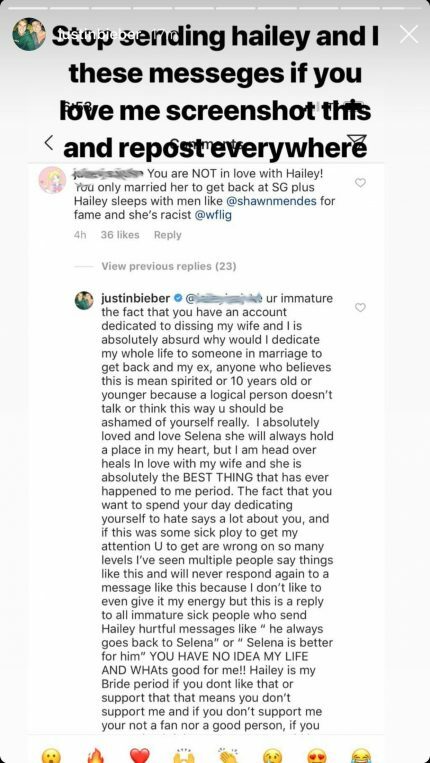 Now, we don’t see how the conversation wrapped up because Justin didn’t include the entirety of what was said — but we can read between the lines. He held nothing back!! 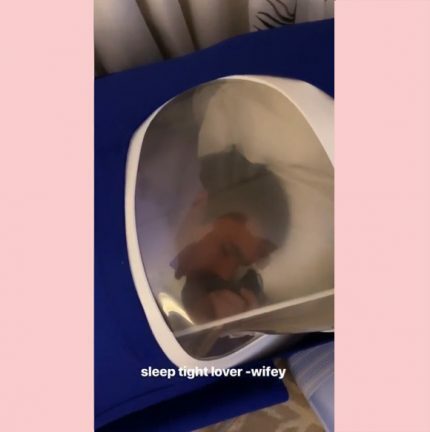 This all comes after a “frustrated” Hailey confessed to Cosmo that the pop star’s fans are “possessive” and it forces her not to read the comments. It’s been no secret Justin is dealing with a lot these days, as he’s been very open with fans about his current journey. This week JB even shared he’s been sleeping in a hyperbaric oxygen chamber to likely help boost Serotonin levels. We really do hope he’s ok, and this latest session of lashing out will be his last. Maybe a social media break is in order — clear timeline, clear mind? What do you make of this, Perezcious readers? SOUND OFF with your thoughts on Jelena, Jailey, and endgame in the comments (below)!